SAAB Owners Club (GB) Ltd - The Mayo P1 - A Saab 9000 Coupe? Introducing the Mayo P1. It's a custom built car based on the mechanicals of a Saab 9000 by a guy named Leif Mellberg. The Mayo P1 was built in the early 1990s using a lot of parts from the Saab 9000. 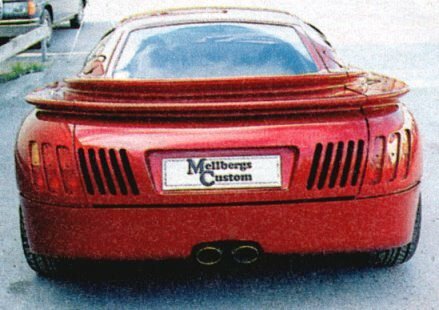 Mellberg built it based on designs by Sune Envall, the brother of legendary Saab designer, Bjorn Envall. Mellberg envisioned a run of 20 of these vehicles, but only one was ever made, mostly due to economic conditions at the time. The car cost around 1.5million SEK and that's in 1991 money! Build/Design: Leif Mellberg, Sune Envall. 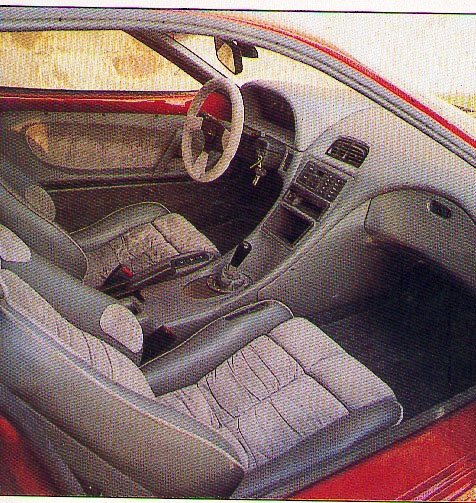 Body: two-seater sports coupe with pop-up mirrors integrated in the doors. Engine: Mid-mounted 2.3-liter Saab (located in front of the rear axle), turbocharged, four valves per cylinder, DOHC technology, modified steering system, increased boost pressure. Transmission: 5-speed from Saab, modified and with a higher gear. Front suspension: Individual, modified Saab 9000 front axle. Rear suspension: Individual modified Saab 9000 rear end. Brakes: Ventilated discs. Custom 4-piston caliper front. Wheels: 16 "Aero wheels, Bridgestone tires, 245/40-16. Interior: Completely custom design, leather / suede, electrically adjustasble custom designed seats based on Recaro. Dimensions: Length: 400 cm. Height: 104 cm. Wheelbase: 260 cm. Performance: Not tested, but the calculations give 0-100 km/h at 6 seconds. The theoretical top speed is 280 km/h.